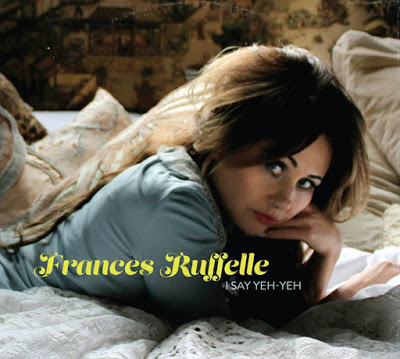 Like a fine cognac, Frances Ruffelle's most recent album deliciously distils her passion for France. Remembering that it was Ruffelle who created the role of Eponine in Les Miserables, a show that was to evolve into one of musical theatre's few truly global sensations, that she is in love with all things French is hardly a surprise. I Say Yeh Yeh is a pot-pourri of songs special to Ruffelle for a variety of reasons. Les Mis is there, obviously, as are a handful Piaf numbers - but it is in discovering the unexpected amongst the tracks that the album takes on an eclectic charm. Bookending the collection is Les Miserables and the album opens with L'un Vers L'autre, a Boublil and Schoenberg composition that never made the English show's final cut. The song offers a tiny glimpse into the genesis of a show, with echoes of recognisable motifs occasionally breaking cover. One is left, pondering smilingly, how different the show might have been had L'un Vers L'autre been included. Eponine's big solo, On My Own closes the album, in an intriguing re-work. Ruffelle's timbre is timeless, but when this most famous of show-tunes is sung here by a woman rather than a girl, Herbert Kretzmer's lyrics are imbued with a worldly-wise insouciance that replaces the number’s hallmark youthful aspiration and gives the song an intriguing evolution. Ruffelle admits that after having searched for a perfectly resonant male voice to record the enigmatically romantic Paris Summer, it was only her chance suggestion to local hairdresser Rowan John that led to him covering the track - in a vocal revelation as charming as the song's lyrics. Produced by Gwyneth Herbert - who accompanies Ruffelle on a cover of Georgie Fame's eponymous title track - the CD offers a most delicate of musical mille feuilles, a finely crafted foray Français. Ruffelle adds that she recorded I Say Yeh-Yeh for love, rather than the pressure of any commercial or contractual requirement and it shows. A must-have for her fans and Francophiles alike!